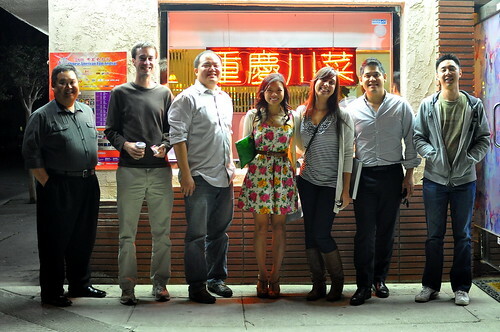 The Astronomer and I met up with Remil, Lien, Daniel, Darin, Danny, and Nastassia at Chung King for a weeknight dinner. 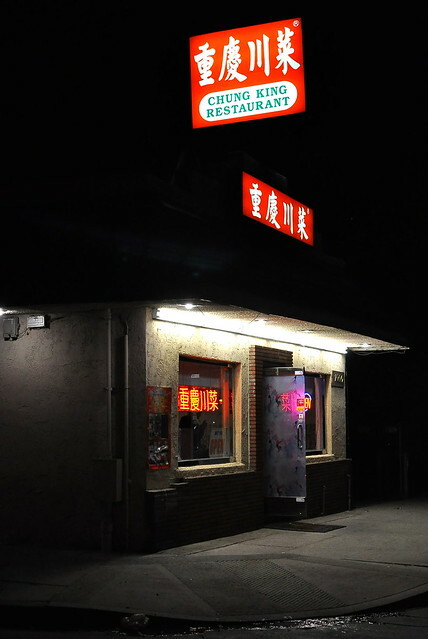 At one point in the history of great Chinese restaurants in the San Gabriel Valley, this place was considered to be the very best Sichuan act in town. I was excited to see how it compared with my current favorites, Lucky Noodle King and Yun Chuan Garden. With The Kung Food Panda in charge of ordering, food came out of the kitchen at a rapid clip. We worked that lazy Susan like she’s never been worked before. The first dish to land on the table turned out to be the best dish of the night. 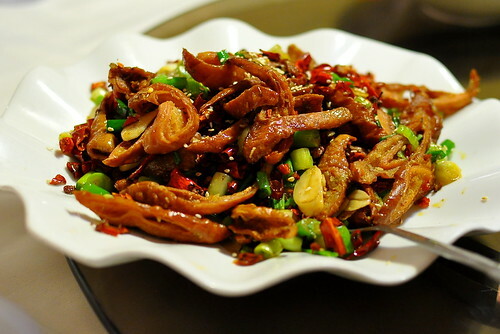 The “saliva chicken” was mouthwateringly good with its spicy sauce and supple meat. Served cold, the chicken was appealingly congealed, which played off the spice just right. 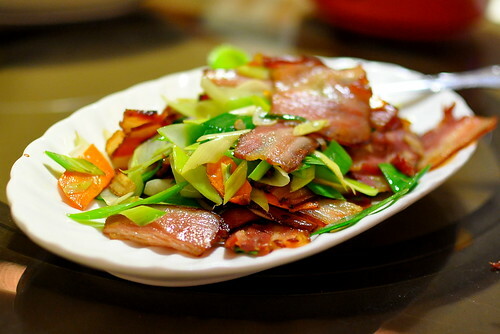 Simultaneously salty and fatty, the preserved pork with garlic sprouts was a solid number as well. 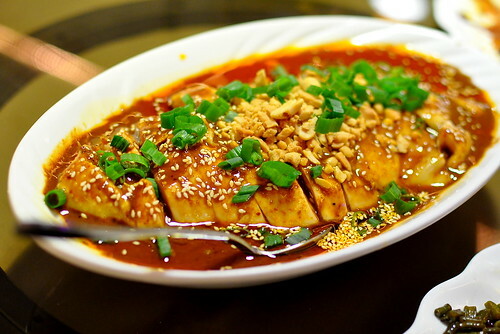 Water boiled fish is Danny’s must-order Szechuan dish. 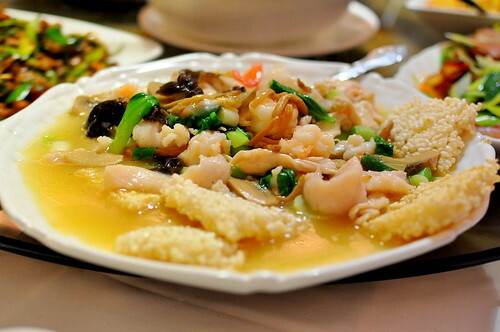 Chung King’s version, which was heavy on the oil and tongue numbing peppercorns, served up moist and flaky hunks of fish. The stir-fried lamb with cumin had a unique flavor profile that set it apart from the other dishes this evening. Deeply flavorful and seriously musty, it was a delightful change of pace. I am definitely ordering this dish again on future visits. The dan dan noodles didn’t really move me this evening, mostly because they looked like spaghetti. 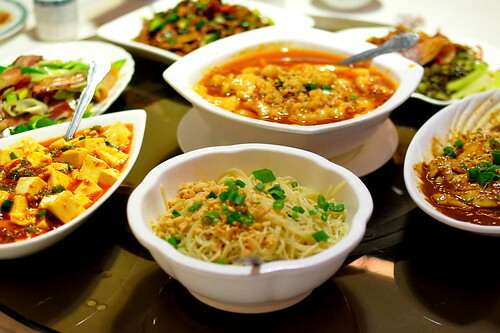 Now, for a standout dan dan noodle experience, I highly recommend dining at Lucky Noodle King down the street. 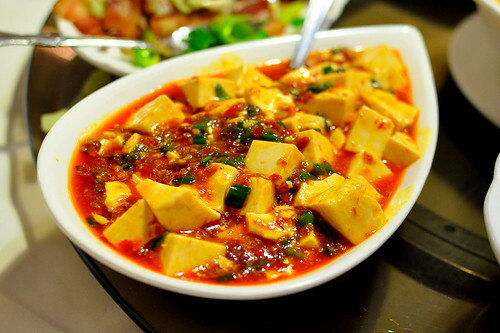 The mapo tofu was silky, spicy, and appealing, but it didn’t capture our hearts like some of the other dishes did. Danny ordered a serving of crispy rice rafts with seafood to calm our tongues. 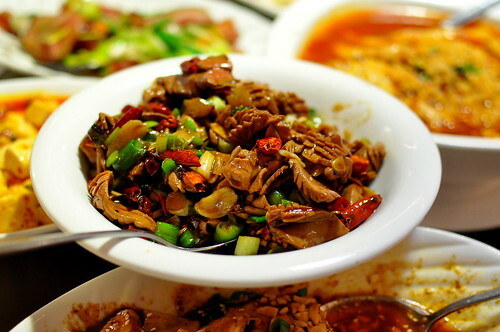 The deep-fried intestines brought a whole lot of crunch and that offaly something that only innards can offer. 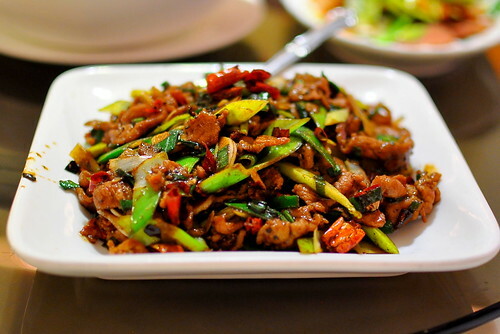 And finally, a serving of spicy stir-fried kidneys. We ordered so much food that it had to be stacked on top of the other plates in order to fit onto our lazy Susan. 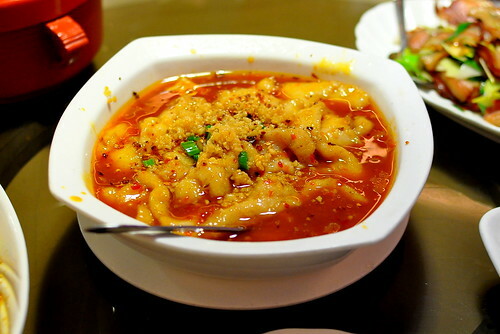 Chung King is a great little spot for Szechuan cuisine. Come with a big group, order up a storm, and enjoy the burn together. This spot is my jam as I live two streets over from it. There’s a few things here that I haven’t tried yet so I’m glad you blogged about them. 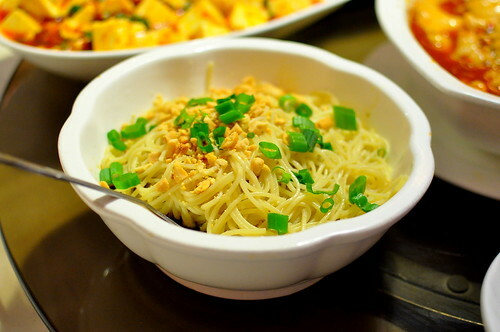 Those Dan Dan Noodles look kinda sad but everything else, so tasty! OMG, I loved that cold spit chicken SO MUCH.